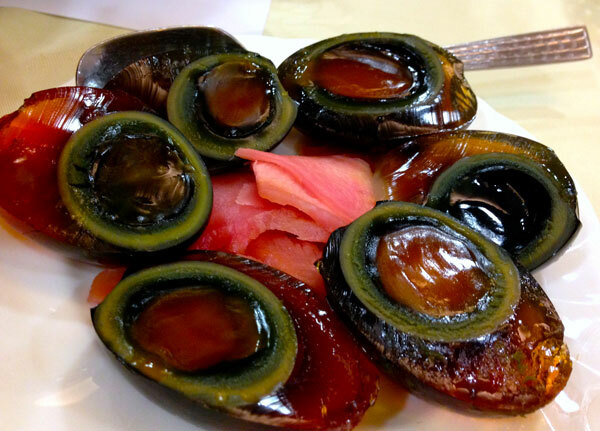 Starting this list off with a bang, abalone is quintessential in the Cantonese fine dining experience. 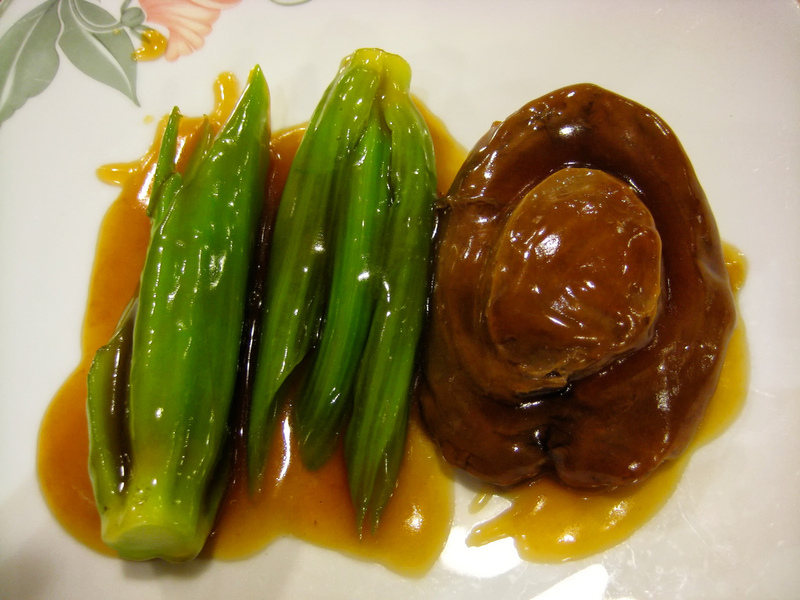 In a traditional set meal, steamed fresh abalone with vegetables, accompanied with thick soy sauce, is more often than not the highlight of the meal. 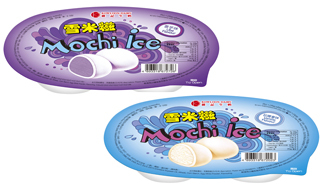 This Taiwanese export is easily a favourite among locals and expatriates alike. 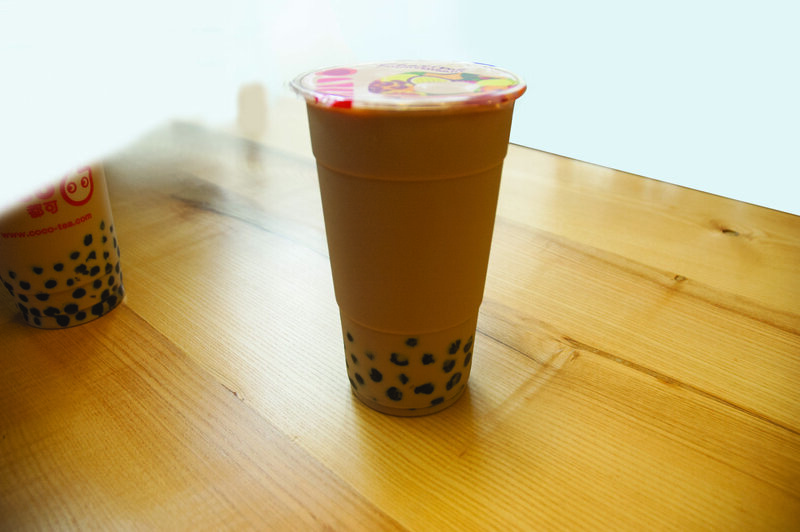 It’s sinfully affordable – normally between $14 and $20 – and with Gong Cha, Share Tea and Come Buy outlets all over Hong Kong, you’re never far from your next bubble tea fix. The ability to customize, from the type of noodles, to what toppings you’d like, makes every visit to a cart noodle joint a different experience. 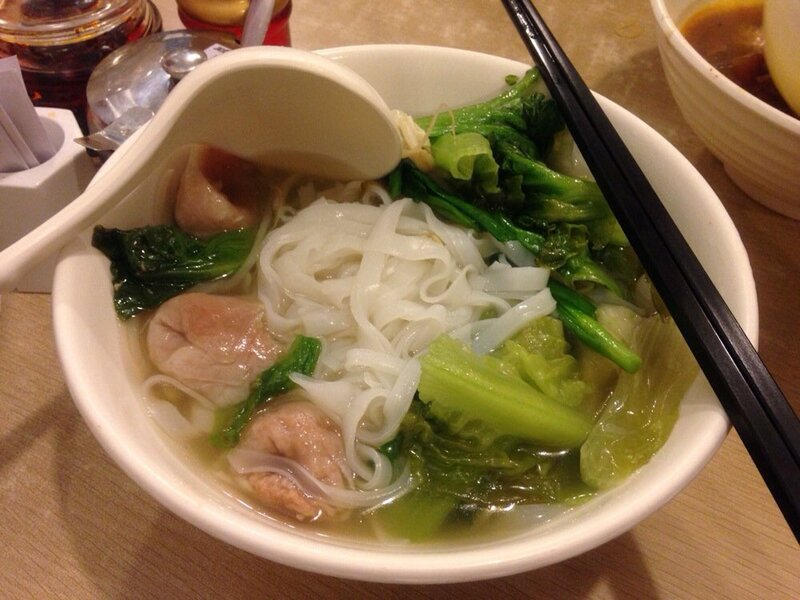 Cart noodles have a long history in Hong Kong, and they’re a great option if you’re looking for something fast and inexpensive. 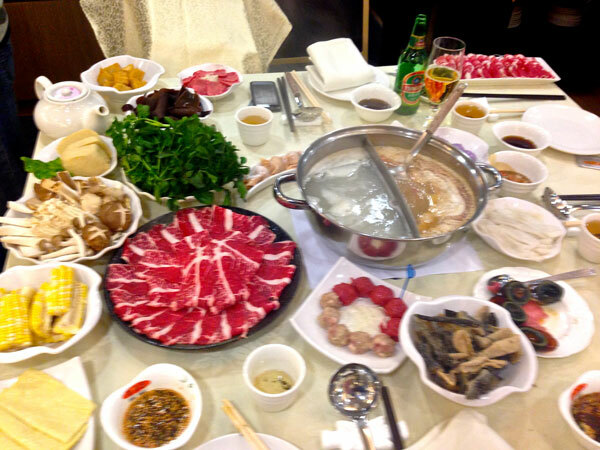 More simply known as hotpot, da been lou is an ever-popular choice among diners in Hong Kong. 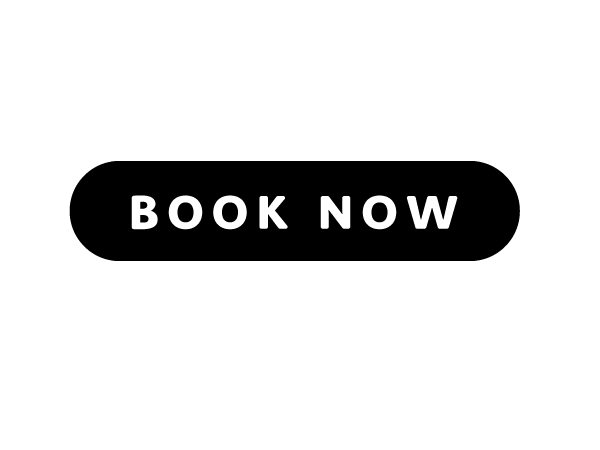 Many restaurants have all-you-can-eat deals, meaning you can leave having eaten your money’s worth and with a five month food baby. A childhood favourite that just never goes out of style, these smaller-than-palm-sized pastries are deceivingly delicious little things. 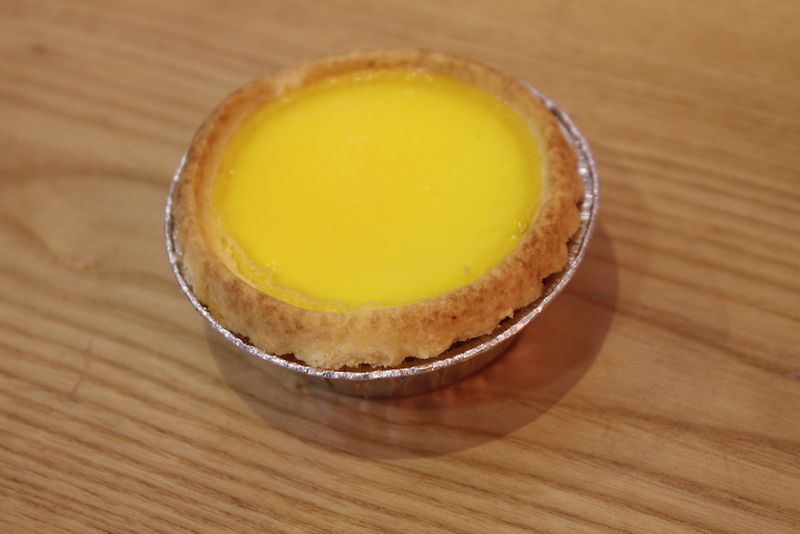 Whether it’s served as a dim sum in a Cantonese restaurant or bought from a roadside bakery on the go, egg tarts always make for a satisfyingly sweet treat. It’s universally and scientifically proven that everybody likes fish balls – well, maybe not, but nobody says no to a bowl of fresh-from-the-kitchen fish ball noodles. What they’re actually made of is questionable, but that they’re wonderfully delicious is not. A well-done roasted goose is succulent, meaty and absolutely heavenly. 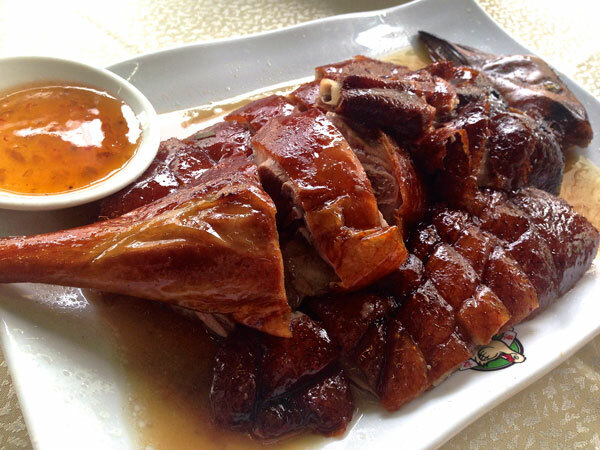 A plate of roasted goose rice with its crisp, fatty skin might not be the most nutritious dish, but certainly satiates and fills you up like no other. Hairy crab season is only during the fall, which just makes them all the more lusted over when the time comes around. 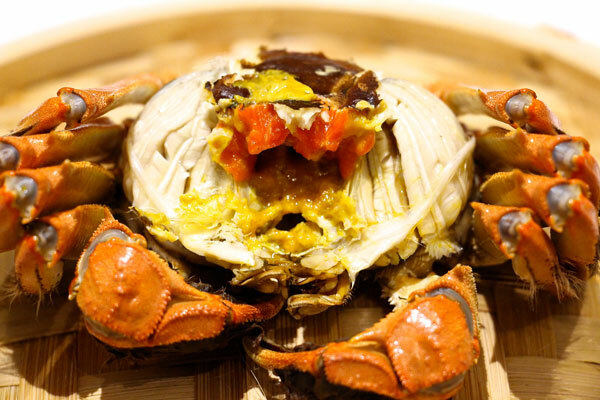 Hairy crabs are no fast food, but the rich golden creamy roe and zesty white meat is worth the hours of digging into every little crevice. An afternoon yumcha just isn’t right without an order of har gao. These little parcels of luscious steamed shrimp wrapped in thin, translucent skin may not look like much, but are seriously delicious. 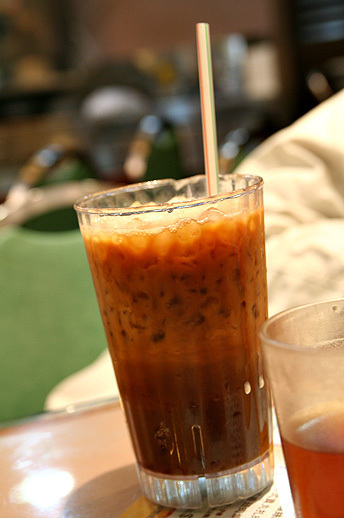 This traditional drink is a staple at every cha chan teng. 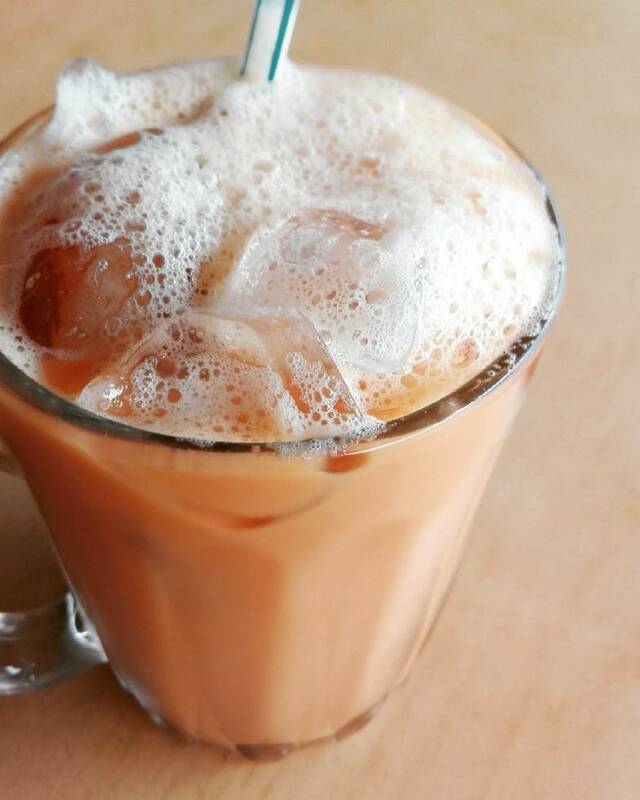 Whether you’re having a scrambled egg sandwich or a slice or two of condensed milk toast, everything washes down well with an iced milk tea, and it’s no wonder why this is such a widely loved drink. 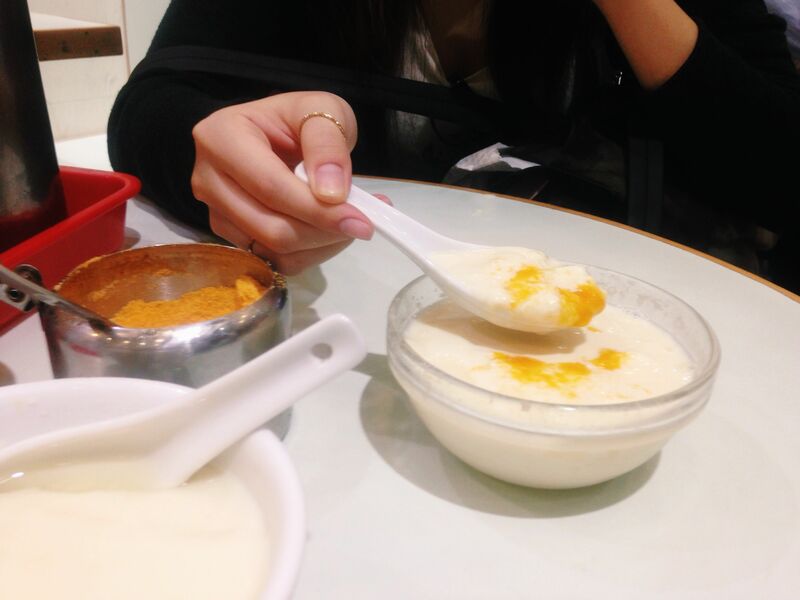 Juk is to us Hong Kongers as chicken soup is to Americans – it’s comfort food for the sick, feverish soul. One doesn’t have to be feeling ill to enjoy a piping hot bowl of ‘juk’ though. 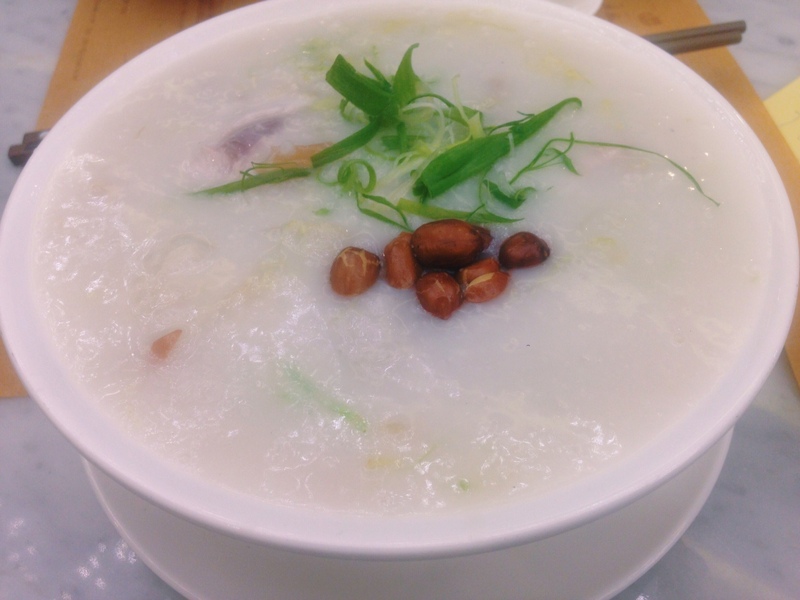 Congee with century egg and shredded pork is a popular order at many congee and noodle shops – a couple of spoonfuls of that and you’ll be feeling warm and fuzzy in no time. During the Chinese New Year season, kumquats pop up everywhere – they’re displayed proudly in your home as a symbol of fortune, given as gifts to loved ones and sold in supermarkets everywhere. 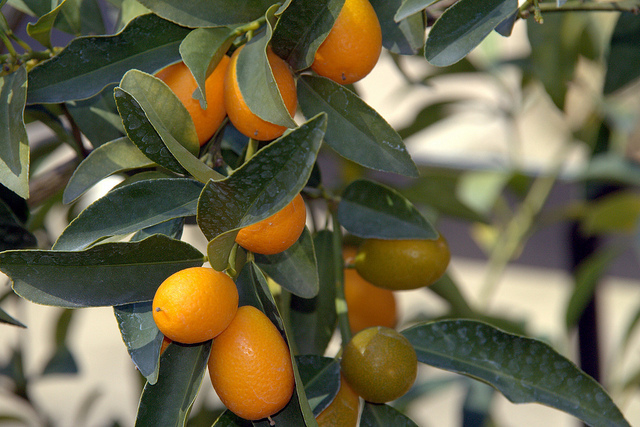 Kumquats have a refreshing, citrusy flavour and are different from your regular oranges because they’re eaten whole with the peel, which is chewy and has a surprisingly sweet taste to it. 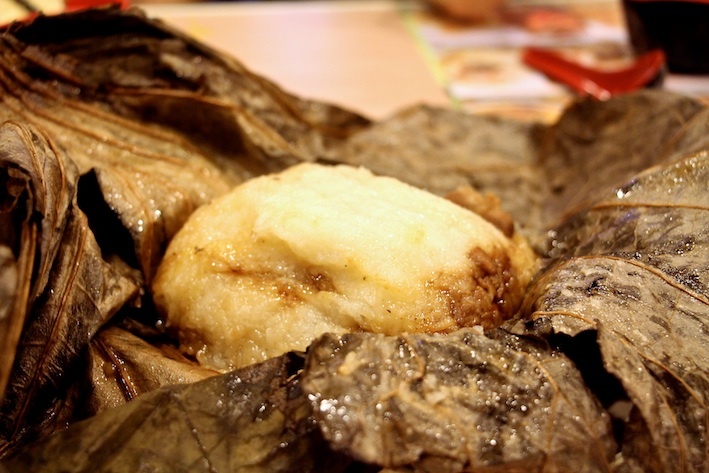 Essentially sticky rice with chicken, mushrooms and scallions in a lotus leaf wrap, lo mai gai is one of the heavier, more filling dim sum dishes that you can order. The glutinous rice is especially fragrant and definitely packs a punch with all of the different ingredients inside of it. That’s not Chinese food, you say! 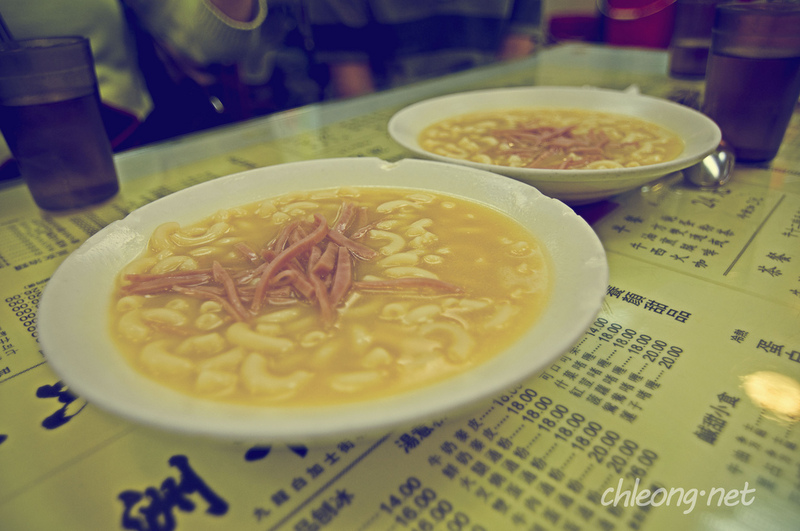 But hear me out – we’re talking about the Hong Kong-style macaroni soup, often served with a slice of ham and a sunny side up, available as a breakfast set in pretty much all cha chan tengs. 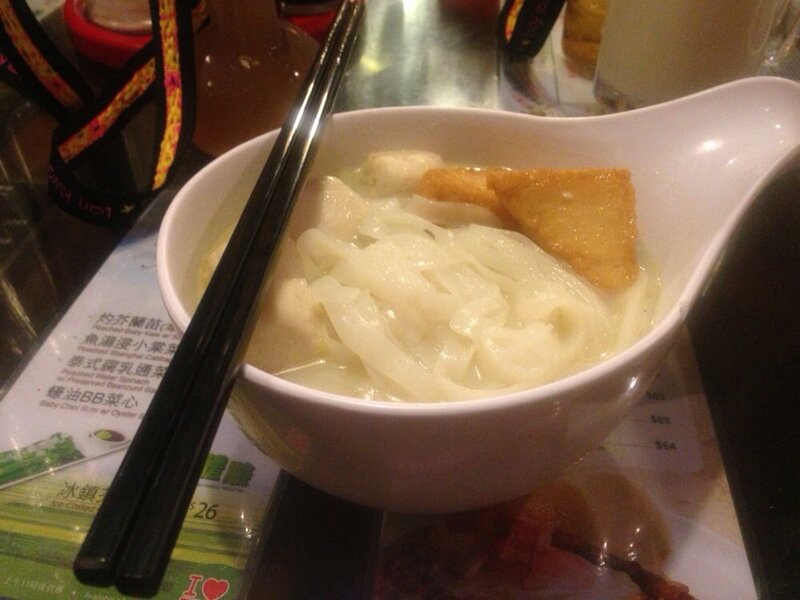 Hearty and filling, HK-style macaroni soup is a childhood favourite enjoyed also by the young at heart. These tightly wrapped ice cream balls with a sweet layer of mocha on the outside are another childhood favourite for those born and raised in Hong Kong. 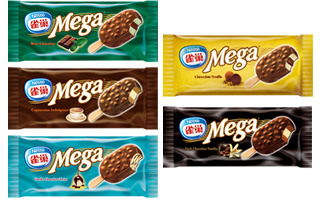 They come in a variety of flavours including original (milk flavour), chocolate and ube, and can be bought at your convenience from Seven Elevens and Circle Ks. Forget fancy artisanal desserts – if you’re looking for something sweet, head to your nearest convenience or grocery store and pick up some Nestle ice cream. With their selection of ice cream bars, fruit popsicles, ‘drumsticks’ (ice cream cones) and classic ice cream cups, you’re sure to find something to your fancy. 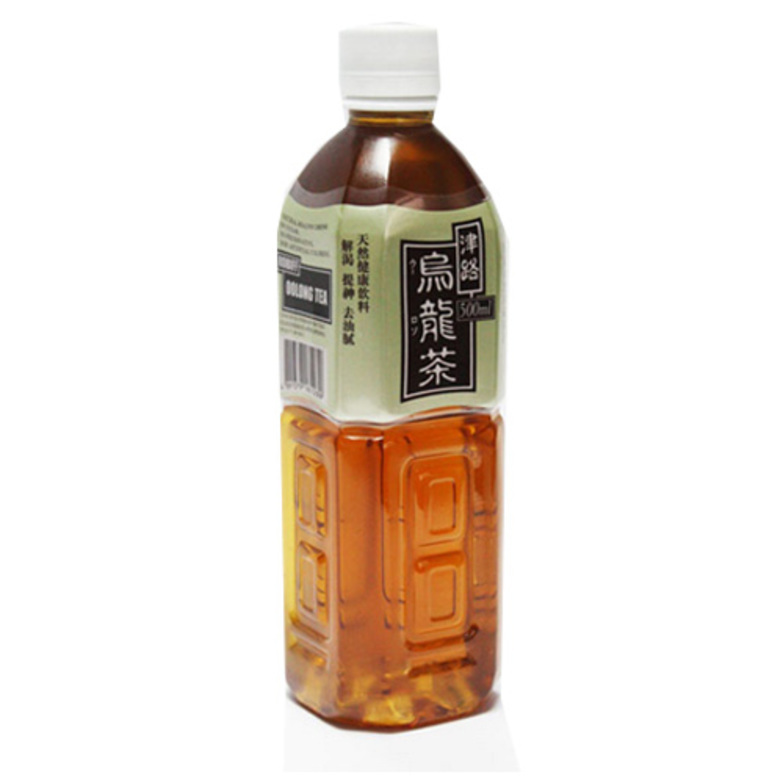 Hong Kong summers are brutally hot and unforgiving, and days like this call for a fresh-from-the-fridge bottle of oolong tea from the nearest Seven Eleven. The taste of oolong tea is hard to describe – it’s slightly bitter, yet aromatic and tinged with a hint of sweetness in its aftertaste. It’s not for everybody, but hey, it’s an acquired taste. Don’t judge a book by its cover, and don’t judge food by its name – a pineapple bun merely looks somewhat like a pineapple, and contains no actual pineapple inside. 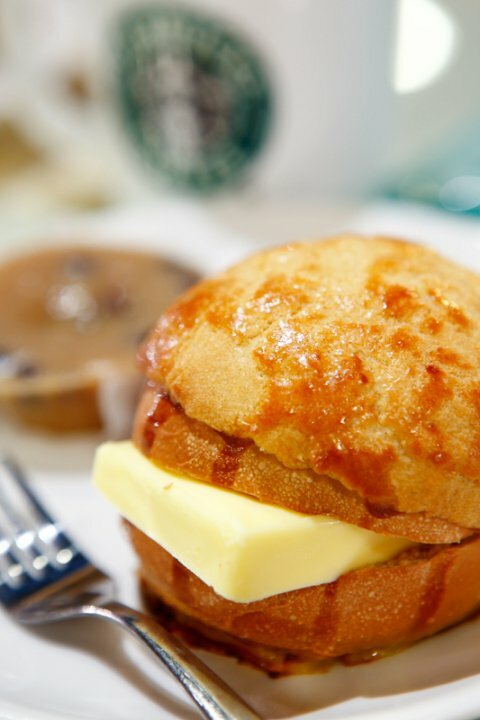 Pineapple buns are known for the sweet and crunchy top layer, which contrasts well with the softer and less sweet inside of the bun. Quail eggs are the stuff that century eggs are made out of. The deep green yolk and the whites, which are more of a brown jelly than the pale solid colour we’re used to seeing in an egg might not seem appetising, but give it a try – you just might like it. The eggs go great with plain congee as it adds saltiness to the otherwise bland fare. These soft, silky noodles and tender beef strips are a classic Hong Kong dish that can be ordered in most Cantonese restaurants. Seasoned with soy sauce, onion and ginger, this dish packs quite the flavour. It’s often quite oily as it is stir fried, but it most definitely is a guilty pleasure that can’t be denied by many. The orange-brown sauce, that drenches the pork and the red, yellow and green peppers, that both garnish and flavour the meat make this one of the most colourful dishes in Cantonese cuisine. 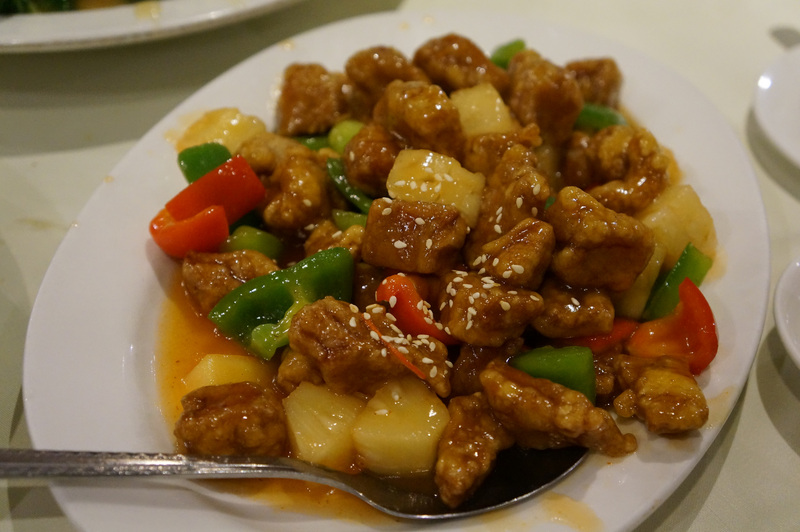 It’s not just nice to look at, but it’s delicious to eat too – the slight saltiness of the pork pairs wonderfully with the sweet and sour sauce. This silky, melt-in-your-mouth dessert is the perfect way to round off a meal. Cold tofu pudding is a refreshing treat in the scorching summer and the hot version does wonders in warming you up in the winter, so it’s a sought after dessert all year round. 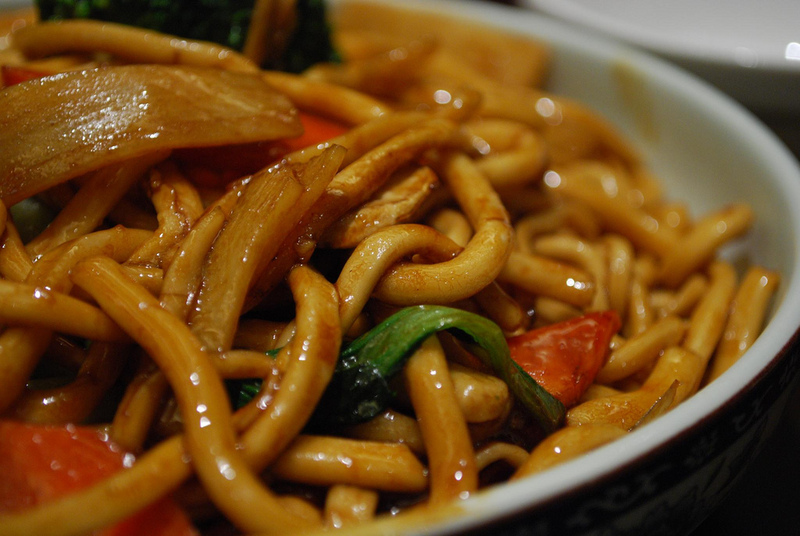 Udon is known to us all as Japanese food, but some say it was enjoyed by monks way back in ancient China. 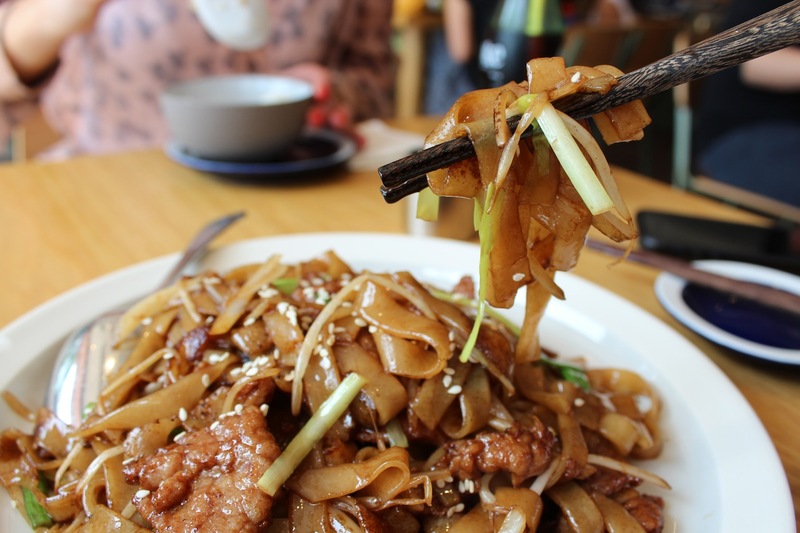 Regardless of the truth, soy sauce udon, also known as fried Shanghai noodles, is a popular dish in Hong Kong, often accompanied with stir-fried beef and vegetables such as carrot and cabbage. The slippery and chewy texture of the noodles is unique to udon in the noodle family and is what makes it a popular order at many local restaurants. 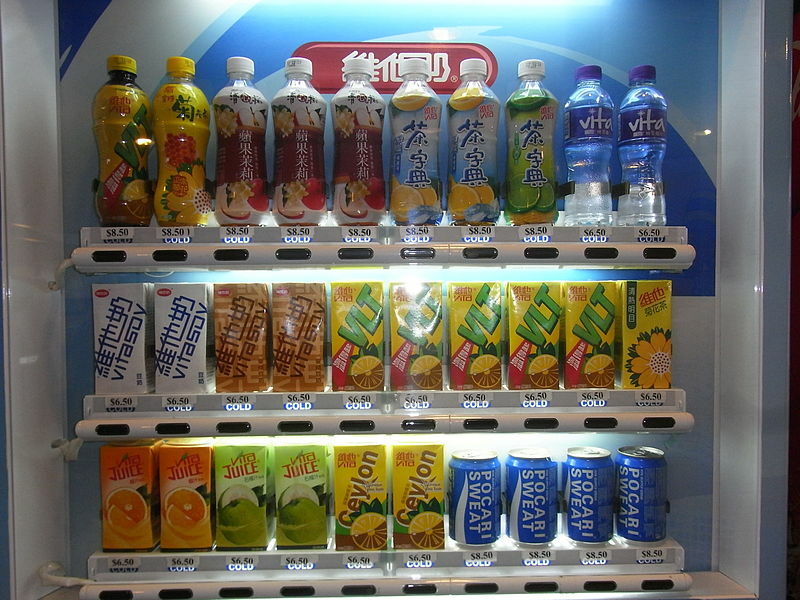 Good ole Vitasoy – these packet drinks, only the press of a button away on a vending machine, are everywhere. Their products range from flavoured soy milk to refreshing teas, and the very affordable prices and wide availability everywhere, make them pretty much the unofficial drink of Hong Kong people. 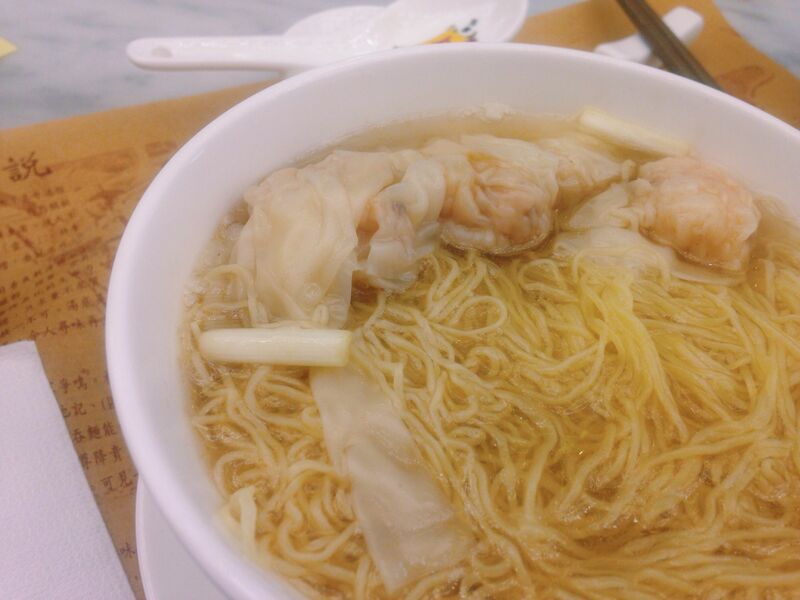 You can’t go wrong with a classic bowl of wonton noodles. Cooked al dente, the noodles are chewy and springy, and the wontons are made of tender prawn wrapped in thin dumpling skin. Shops that specialize in wontons are all over Hong Kong, each claiming to be the very best – guess you’ll just have to try them all to find out! 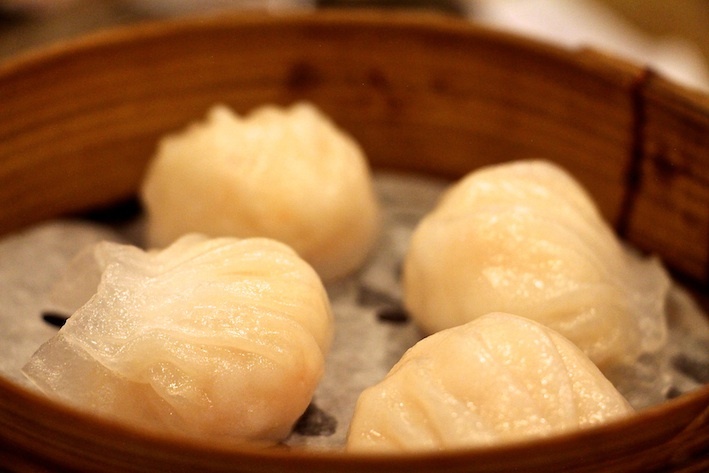 So they’re technically Shanghainese, not Cantonese, but they’re too good to leave off the list – plus they can be ordered at most dim sum restaurants anyway. 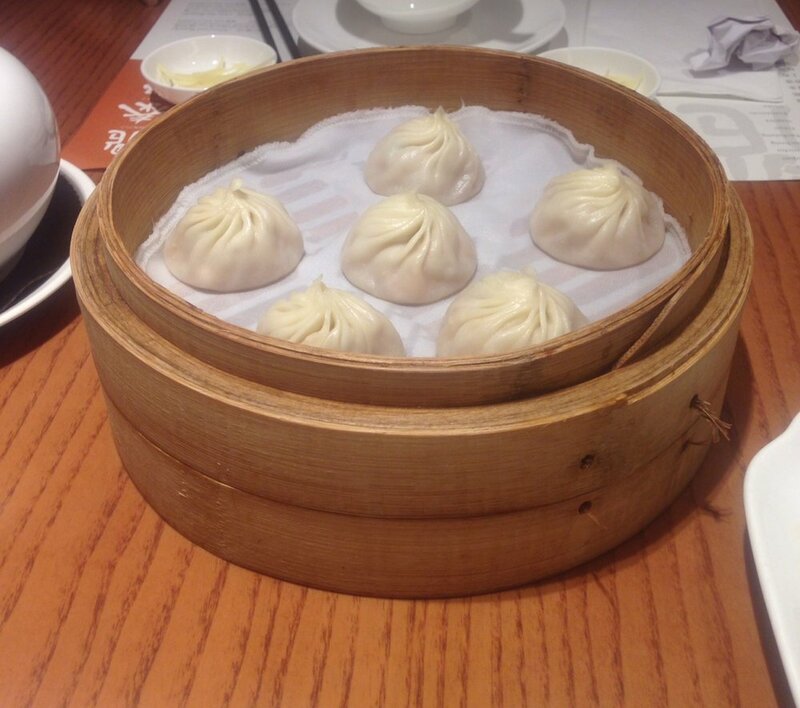 Beginners beware: these little dumplings burst with flavour and scrumptiousness, but also boiling soup, once bitten into. I don’t know about you, but I can easily devour eight or ten of these babies in one sitting. A mix of coffee with Hong Kong-style milk tea, yin yeung, named after the Chinese yin yang symbol, represents Hong Kong in its very essence – a beautiful blend of tradition with contemporary culture. Often ordered with set meals at cha chan tengs, yin yeung is creamy, rich and always a good time. 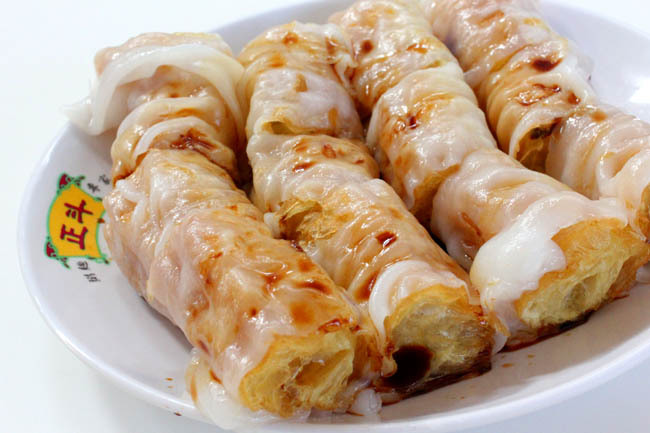 Zha leong is a combination of two well-known local foods: rice noodles wrapped around you tiao (fried dough). Soft and slippery on the outside while firm and crunchy on the inside, zha leong features the best of both worlds in one simple dish. And there you have it — a complete but by no means definitive list of Hong Kong foods that we all love, and where you can try the very best of it Enjoy!